Dog owners have a pretty good idea of whether their dog is smart or not so bright. We usually judge our dog's intelligence based on how easily he or she was house trained, or how many tricks we can teach them. At one time, people never even considered that a dog could be intelligent, or have feelings, or express emotions. When we say "this dog is intelligent," usually referring to the dog's ability to learn new things, to think and solve problems. Certain breeds are considered to be "fitted" with the quality to be easily trained, but other races also are in other ways demonstrating their intelligence and are worthy of admiration. And now, let's see the most intelligent dog breeds in the world, in the sense that most people perceive. 1. Border Collie is first because unusual it shows clear intelligence and energy. Dogs of this breed feel best with active owners, which can train and play all day. Because of the fact that in the past they were herding dogs, they may become confused around children who have a different rhythm and cannot be "controlled" as sheep or cows. 2. 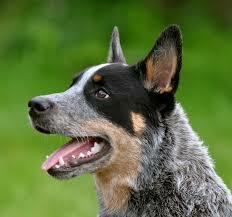 Australian Cattle Dog is a hardworking dog, which traditionally deals with flocks and herds. Main qualities are exceptional intelligence, attention, strength, and loyalty to owners. They are agile, strong, organized, physically and mentally active. The less good thing is that they get bored quickly and act silly in their desire to experience new things. 3. Rottweiler began its "Career" work in Germany as companions. They are used mainly as security guards and as police assistant. They are very courageous, patient and loyal. 4. Papillion's are very cute thanks to butterfly-shaped ears. They are smart and stronger than they seem at first glance; they are often described as big dogs trapped in some small bodies. They have trusted guards of the house and good friends. 5. The Shetland sheepdog is a dog at home which expresses protective spirit and dedication to defending the flocks. Extremely smart, can handle in different situations and learn new commands easily. 6. Doberman Pinscher does not know what fear is and therefore, are highly appreciated as guard dogs. Even if they seem scary, can be tamed through training and thus become docile and gentle. 7. Golden Retriever, these dogs can learn commands well over 200, are loyal, loving, attentive and ideal if you want a playful and confident companion. 8. German Shepherd is smart, brave and protective, German shepherds learn commands only after one repetition, you should not give an order twice to make him listen. This breed is used to protect and to guard livestock, for police, search and rescue missions, and may be trained by the military even for parachute jumps. 9. Poodle is a breed that is easily trained, sharp-witted. Poodle breed dogs are hardy, obedient and efficient. They are very creative and, therefore, have been co-opted even circuses. 10. Retriever Labrador it's one of the most popular breed’s so-called "family" dog. Intelligent, effective and gentle, they are ideal for families with small children. They can be easily trained, and are used to help elders and people with disabilities, but also in the police field work.